With the world’s love affair of coffee growing to 159.7 million bags in crop year 2017/18 and with a ‘bag’ consisting of 60kg of beans (this weight is based on a bag of Brazil) which equates to a staggering 9,582 million kilograms per year! It’s safe to say, consumers across the world can’t get enough. The world of coffee has moved on considerably in the last 30 years. We’re currently in what’s known as the ‘Third wave’ of coffee (more on this in another blog) and some may say we’re even past that and are in a new paradigm of coffee. One in which coffee is as revered and sort after as a 3 Michelin Star chefs food is. And rightly so I should add. Third wave and beyond is the cultural shift in coffee consumption where by coffee is consider so much more than a caffeinated morning wake up aide. Again, more on that in another blog. As people’s love affair with coffee grows, so too does their personalisation of it. The act of drinking something that speaks to them - not purely just to get a caffeine fix at any cost. 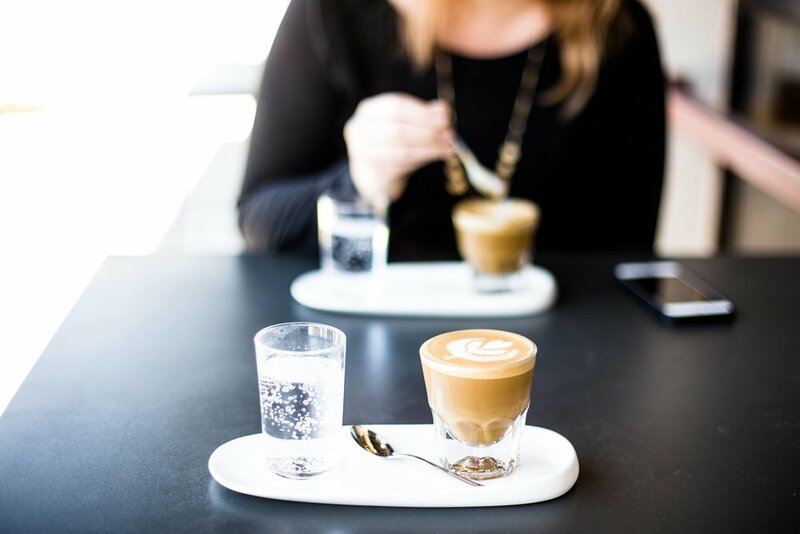 Whether your caffeinated drink of choice is ristretto, espresso, piccolo, latte, cappuccino, mocha, or a weak decaf soy flat white - the options for coffee are enormous! There are more variations that I could mention, but all are formulated to provide one thing, the best personal experience possible. Now, it isn’t up to baristas or coffee roasters to tell us how we should drink our coffee. I personally find it completely arrogant and to do so presumes the customer doesn’t know what it is they want. In my experience, customers ordering their coffee know EXACTLY what they want. So don’t mess with it. It’s great to educate but don't preach. Let the customer come to you for knowledge and likewise, customers, ask information of the Coffee Professionals you encounter… often! My late father for instance drank a large flat white as weak as I could make it, as hot as I could make it and with three artificial sweeteners. Not my cup of ‘tea’ so to speak, but to him, well, he loved it. It was his own personal cup of enjoyment. Come to think of it, it was sacred actually. To him it was perfect. So what the hell is all this rambling about? What makes a Cortado so special? Onto the topic of conversation, but first, a quick look at some measurements. Originating in Spain, a cortado is a 4-ounce (120ml) drink that is 1⁄2 espresso 1⁄2 textured milk, in essence, a small, solid milky coffee. Having a double shot of coffee (so, 60ml) and the same amount of textured milk, the flavour of the coffee is pronounced and full and it’s a popular favourite with coffee drinkers around the world. Here in Australia, the cortado style should be compared to something like a piccolo or a macchiato, which are far more readily known and enjoyed. A piccolo is a double ristretto (meaning restricted) shot, topped with textured milk served in a 100ml glass demitasse or small latte glass. A macchiato is an espresso shot with a small amount of milk to ‘mark’ (hence the name macchiato) the coffee with a dash of textured milk foam to help soften the taste. So, as a simple comparison of these 3 drinks, a piccolo is milkier than a cortado and a macchiato is stronger, however, they are all fantastic tasting traditional coffees when made by a professional and passionate barista. What makes these three coffees and especially the cortado so special is that the primary focus of them is the taste of the coffee. Our pallets have changed so much and our idea of coffee is so far advanced from where it was at the end of the last century and as Coffee Roasters, we are so privileged to have access to some amazingly beautiful coffees of differing botanical varieties from some outstanding producers and with a wide variety of processing methods. As Coffee Professionals, we like to showcase what it is we do and these coffees are a great platform for us to showcase that. These small coffees, such as the espresso, the macchiato and the cortado rely on the baristas experience on the espresso machine and the relationship with the beans they’re brewing, their love and passion of coffee, their attention to detail. It’s hard to hide behind coffees like these as the coffee is the major element on show. Not the milk. We’re fortunate to be working with customers that appreciate our profession and love the drinks we offer. These coffees are a far cry from my Old Dads weak, hot and sweet flat white but they do offer us a great platform to showcase what it is we do. And that can only be a good thing. At Darks Coffee Roasters, we offer a range of brew specific coffees from the carefully blended, rich and full-bodied coffees for espresso machine through to micro lot single origins and lighter roasts suitable for alternative brew methods. We sample, cup and critique each and every coffee we roast to ensure consistency and we strive every day to achieve our goal...to roast a better coffee. Order your roast online today or ask us about becoming a wholesaler.